Total personal effort in 3days: ~10k run in Chennai on 14th, 2pints, 10x200m sprints with the baton, 50k bike ride on OMR & ECR, 15k noon run to Pondy, 4pints, 8k Heritage run at Pondy, more pints. 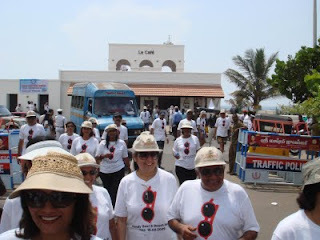 * Horror start – First, Horror Zubin actually started the race at sharp 6, the hard, long baton in hand. Second, the Hyderabad runners van with Obelix and some 10 other runners ended up in the ECR toll booth and not the OMR toll booth!! 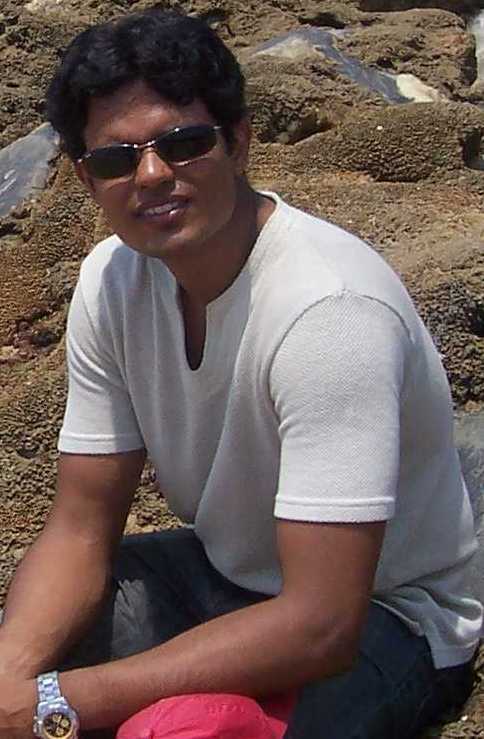 * Arun, Sunil, Jugy & I ran our guts out in short bursts; Arun ran out of turn a few times too. * The Obelix van joined us about 5k later and we finally got some more time between turns to catch some breath. * Our team finished our 10.4k in some 43mins or so. * The bike ride was excellent. OMR has some flat stretches, it was an overcast day & the breeze was light. * We made good progress, stopping only once during the entire 50k stretch. Except for a stray incident of a tractor trying to mow us off the road, ECR was friendly too. * Packed the bikes back in and sprinted the second leg when our turn came. This time more organized, less frequent, but nevertheless as lung bursting as the first one. 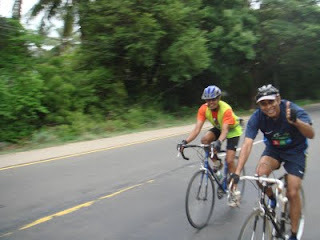 * Then we hopped on to the car, with Vinod at the helm and headed to the last toll bridge on ECR as we entered Pondy, with an estimated 12-15k left to the finish. * Jugy, Sunil & I started running (at 12:30, it was blazing heat) the last leg, Jugy dropped out & hopped on to Abnash’s car after 5k or so, Sunil dropped pace after about 7-8k or so. I finished the agonizing run at Nalla beach. 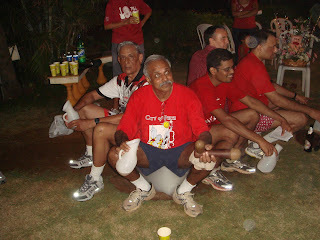 * The baton reached to the awaiting hashers in 8:20hrs – jerking at an average of 4:11mins per km for all of the 120km!!! * Run started near the Gandhi statue. It was to be flagged off by the CM of Pondy himself!! * Lunch was served with the amber fluids at the Mahindra Zest Big Beach Resort. What a lovely place that was!